Pest Solutions 365 offers a full range of services for both residential and commercial customers. From treating ants, rodents and spiders, to treating bed bugs, roaches and silverfish, Pest Solutions 365 can handle all of your pest control needs through a variety of programs and plans tailored to meet your budget requirements. 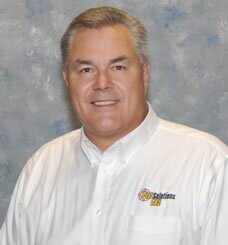 Tom Sutko is the owner and manager of Pest Solutions 365. He purchased the business in March 2012 from Wanninger Home Solutions. Tom is expanding on the company’s success to provide new levels of service excellence in operations and professionalism that clearly differentiates Pest Solutions 365 from other pest control companies in eastern Nebraska and western Iowa. Tom has more than 28 years of sales experience and operations management with Valmont Industries, Inc. He earned his bachelor’s degree in marketing from the University of Nebraska at Omaha. He also attended Columbia University Graduate School and the Harvard Business School. Sutko, an Omaha native, also owns AmeriSpec Home Inspection in Omaha and Lincoln, as well as Leapin Lizard Locksmiths, TNT Termite Service, and SRE HomeServices. Pest Solutions 365 is committed to providing a higher level of professionalism that clearly differentiates themselves from other pest control companies. This professionalism will be focused on providing prompt and courteous service and meeting the pest control needs of its customers. The basis of our service will be using the Integrated Pest Management (IPM) practices to create technologically advanced and environmentally sensitive pest control solution for its clients. We will identify, target and eliminate your pest control problems. You can trust our professionals to treat your home with the same level of dedication and respect as they would their own homes. Our technicians are licensed, bonded, insured and qualified to eliminate all types of pests from your home or business.